Gumball and his friends were going to play knights in the backyard. But they didn't expect that they would have to engage a real battle against the evil. 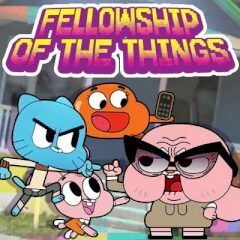 Someone has stolen everything from their house, and you must help Gumball to get his things back.